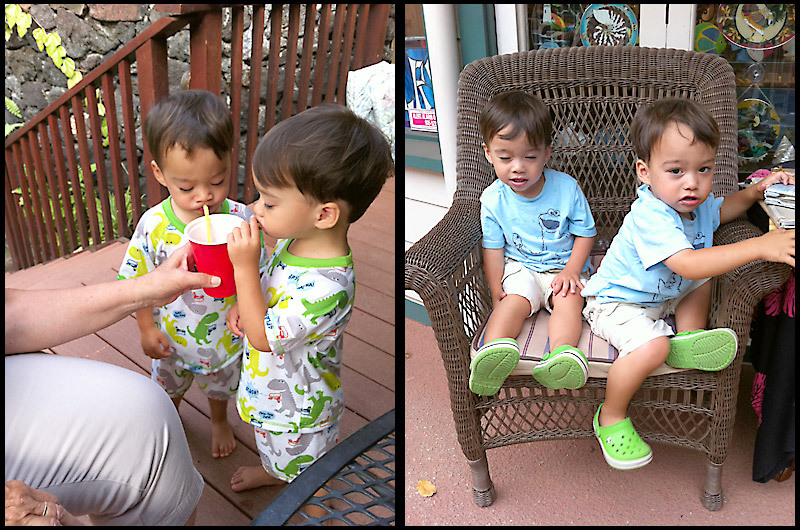 Berg Twins: We Turned 23 Months Old in Hawaii! I have a ton of blogging to catch up on because we were out of town the whole month of June, but since the boys are about to turn 2 in just 2 days, I thought I better get this 23-month post out. The boys turned 23 months in beautiful Hawaii, and these are the only pictures their mother took of them that day...I am an awful mother and an even worse photographer!